Team Texas participated in the Transplant Games of America. This competition was for transplant recipients and living donors. The over all event is a time to show appreciation to our loved ones who care for us and our everlasting gratitude to Donor Families . They are an amazing way to raise awareness for organ donation. The games also promote a healthy lifestyle and most importantly creating relationships with people who understand transplantation, and help spread the word of importance of organ donation. The U.S. 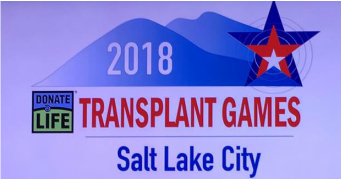 Transplant Games have been every other year. The first National Games were a small group of transplant recipients that gathered in the Great State of Texas. SPORTS include: 5K, Badminton, Ballroom Dancing, Basketball, Bowling, Corn hole (bean bag toss), Cycling, Golf, Racquetball, Swimming, Table Tennis, Tennis, Texas Hold 'em, Track and Field, Trivia Pursuit, Darts, Pickleball and Volleyball. The 5K is a medal event for transplant recipients and living donors, but also for anyone and everyone to run in! The rest of the events are for recipients and living donors . Gold, Silver and Bronze medals are awarded! Every two years, The World Transplant Games are held. Team Texas is proud to have its athletes compete and represent Texas on Team U.S.A when they can. Good Luck Team USA and Team Texas athletes!